To Established and build Hindu Temple in Utha to Worship, conduct religious activities and pursue hindu ideals of tradition and culture. To consecrate in addition to Lord Ganesha as the main Sanctum, all important deities of the Hindu Pantheon and conduct regular puja services as per hindu tradition. To Organige and share religious and cultural, philosophicaly, yogic, educational and other aspects of all denominations of Hindu religion and tradition on a continuos ongoing basis for all years to come. Ashtothra Aarati: Anytime on request to any deity/shrine. Puja, Aarati: Start times are weekday mornings 9:30 AM; weekend mornings 10:00 AM; all evenings 7:00 PM and 8:45 PM. Ganesha Abhisheka: Every Tuesday, Thursday and Sunday Morning, 8:45 AM . Shiva Abhisheka Puja: Every Monday and Pradosha Evening 6:00 pm. 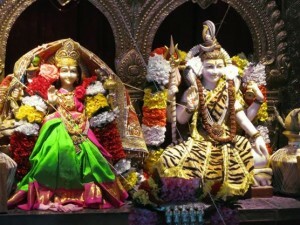 Durga and Devi Puja: Every Tuesday and Friday . Navagraha Abhisheka: Every Saturday, 8:45 AM . 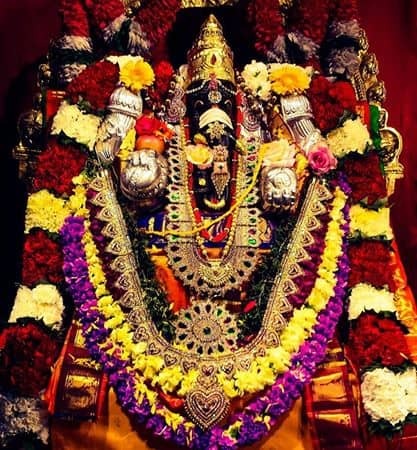 Srivaru Balaji Abhisheka: Every Saturday, 9:00 AM . 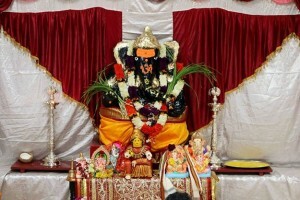 Sankata Harana Puja/ Ganapathi Havan:On Sankasta Chaturthi 6:30 PM . Sathyanarayana Puja: On Poornima, 6:30 PM . Gayatri Yagna: First Saturday of each month 10:30 AM . Wednesdays Evening Abhishekas : on Succeeding weeks of the month 6:00 PM Hanuman, Krishna, Dattatreya, Murugan . Ganapathi Atharva Sheersha and Rudram Chamakam, Suktam: Every Sunday. Vishnu Sahasranama: Every Saturday evening . Sri Venkateswara Suprabatham: Every Saturday . Bhajans and Sankeertan: On request and after Aarathi. The Temple is open from 8:30 am to 9:00 pm every day in the year. Priests will be available at the Temple for performing personal pujas, archanas and aarathi. Priests are on Break from 12:30 pm to 5:00pm, though devotees are welcome to worship in the Temple during that time. Priest services can be availed at the Temple or away from the Temple everyday except during Temple service times, special Puja days or Temple Event/ Festival days. Priests can help in selection of auspicious days for special events, special purchases, journeys etc. Please check with priests in advance about duration of pujas, required items and Prasad. Temple may be able to provide some minimal puja items as part of the service. Put all Donations/ Service fees in the Hundi in front of Sanctum or mail to: Sri Ganesha Hindu Temple of Utah, 1142 W South Jordan Parkway, S.Jordan, UT 84095. Donors are requested to write their names and address clearly on the donation envelope. Priest Dakshina is in addition to the donation/fee for the service. Devotees are requested to give a reasonable dakshina tip to the learned Priests performing the service. Priest services are booked on a first reserved first served basis, confirmed by paying the scheduled donation/fee and entry in the reservation ledger available at Temple. All Special Services requests MUST be entered in the Reservation Book. The devotee must arrange priest transportation, pickup and drop off. Food can be served only in the Prasad room / Break room or on outside verandahs. Please bring your own paper goods, serving utensils and clean up the service areas after use. Temple Kitchen is off limits to all except to Priests for preparing Neivedya prasad. A Cleaning Deposit of $ 50 may be required for groups of more than 10 persons. If the priest booking entails the services of a substitute priest for Temple puja, an additional fee of $51 will be required for arranging the substitute priest. Devotees are requested to keep Temple Premises clean, and also help to clean up after a service including puja area, break room and restrooms, bag trash and clean up utensils used for serving food. Durga Mata and Shivji.Shiva Linga.BalajiVenkateshwara.Navagrahas.Lakshmi.Saraswati.Hanuman. 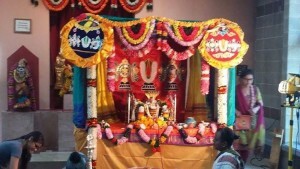 Krishna.Murugan.Dattatreya.Rama, Sita, Lakshman Hanuman.Andal-Bhudevi.Nataraja.Sivakami-Uma.Naga Devatha in Garden Gazebo Pavilion. 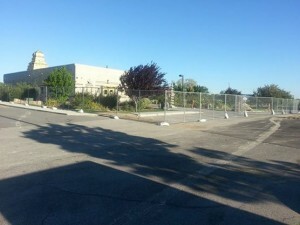 Time: The Temple is open for visitors from 8:30 AM to 12:30 PM and 5:00 PM to 9:00 PM, Monday through Friday. On Saturday and Sunday the Temple is open from 8:30 am to 9:00 pm.